Garnished with fresh marjoram and heirloom Haitian Plate Du Haiti tomatoes. 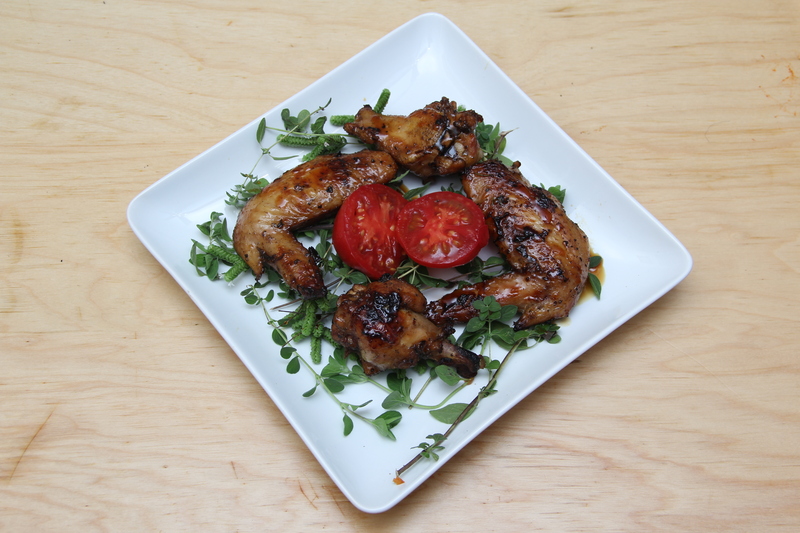 This recipe in inspired by the sticky wing trend as well as the flavors of traditional African American barbecue. What I’m finding out is that traditional African American barbecue from the antebellum period onward was particularly complex in seasoning, with ingredients being tucked away. The traditional flavors of the pre-Nadir (the period after Reconstruction to the beginning of Civil Rights) African American kitchen were red hot peppers, smoky/salty pork fat, spoiled cider (vinegar), molasses, onion family species, and random bits of fresh herbs grown by the community or foods that gave tastes of the Big House kitchen–from the spiced liquor that took the place of spices to foods that contained mushroom catsup or anchovy sauce (here we are substituting Worcestire sauce). All of those flavors are here. This is a happy play on the same flavors that made early barbecue sing. Rather than use hickory, I would go for applewood for a smoky but not overpowering taste. The theme here is a faint wisp of sweetness in all aspects of the way the marinade is composed. The choice of bullion over salt is there to really an homage to the way food is flavored with bullion in West and Central African, Maroon and Caribbean communities. Relax, its not the culinary colonization of Maggi—its actually kosher chicken bullion powder-which I callJewish seasoned salt. I think it concentrates the chickeny-flavor. Notes on Bacon and Worcestershire sauce…Obviously if you are making this kosher, omit the bacon fat. If you choose to use bacon fat–it should be light, clear as possible, unburnt and should run nice and thin when gently heated. 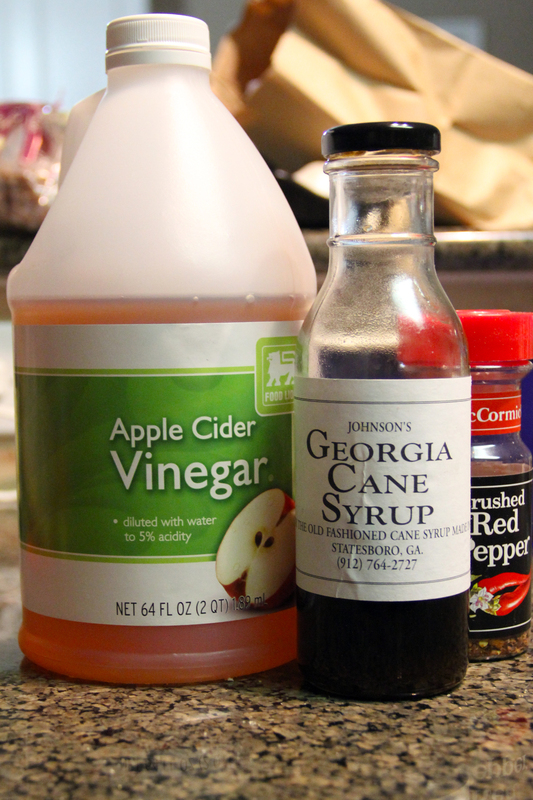 Keep in mind, this will add another strong flavor to this dish that you might not want. With Worcestire sauce–be aware if you are making this kosher that it should be a pareve or neutral sauce–not marked FISH, which is traditionally not allowed with meat dishes. According to the laws of kashrut, if a WS has over batel bashishim (over a 60th of the total volume) it is FISH, like Lea and Perrins, or it can be like Frenchs, which is under batel bashishim (under a 60th). If you don’t want to use or can’t afford the spiced rum–cool–don’t fake it –just use 1/4 of a tsp of allspice and 1/4 tsp of cinnamon–and its just as good! These look wonderful and they are beautifully plated! So many times wings are dripping with sauce and these are not. Love the African American spice blend. Will be making these for sure!